I’ve always said that if you have kids and aren’t much of a gardener, at least just grow sugar snap peas and sungold tomatoes. (heck, that’s what I’d say even if you don’t have kids!) Sugar snap peas are sure to convert any toddler turning a nose up at green foods into a raw, green-veggie-eating machine! 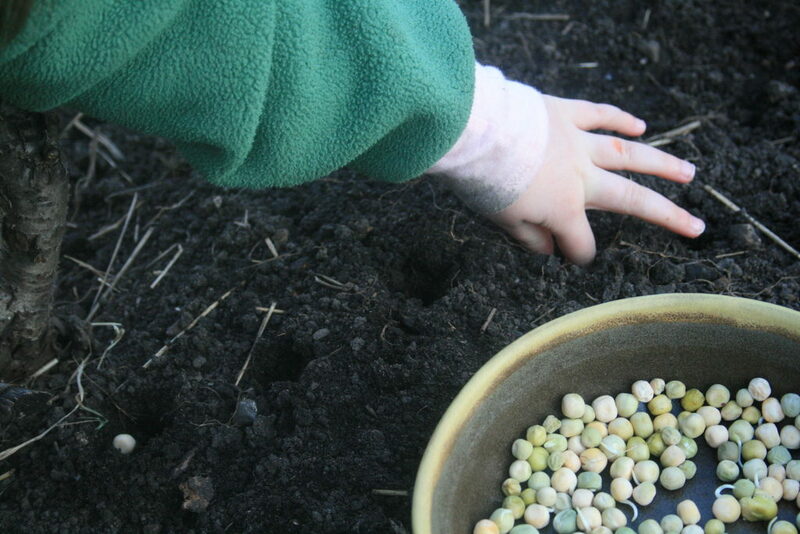 The instruction on pea planting is to plant early in the spring, as soon as the soil can be worked. I’ve been skeptical of these directions. 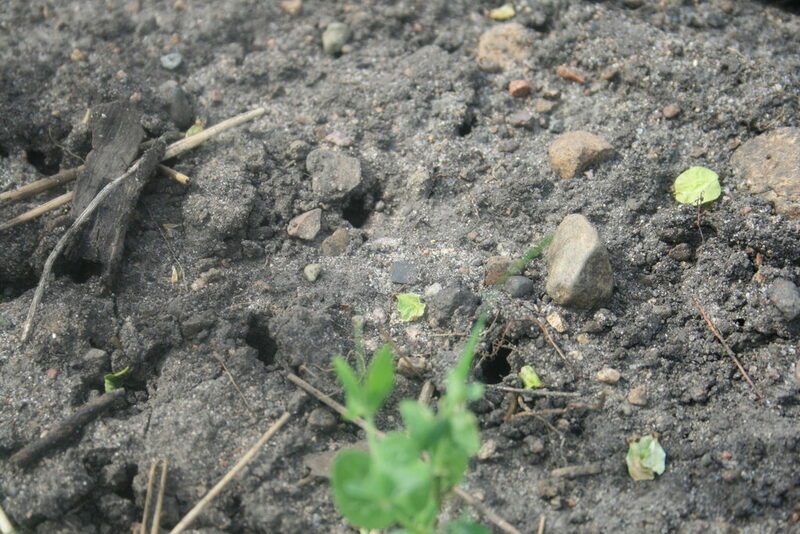 The soil can “be worked” when there is still snow around, and in Minnesota we can get a warm thaw, and a month later be back down to freezing temps! This year, I decided I was going to test the waters. So I planted early. 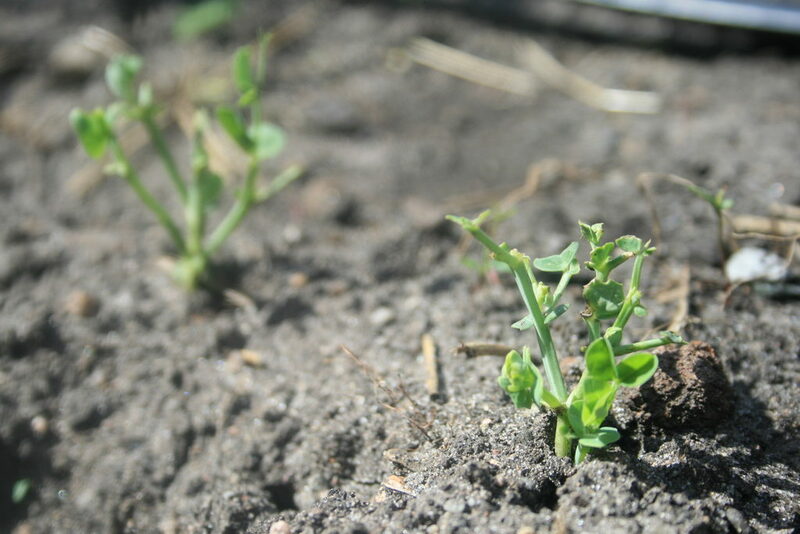 Peas were in the ground March 10. I soaked them for a of couple days to give them a germination boost. Then my little garden helper joined along to help plant one of her favorite vegetables! It was slow going, but they finally emerged… three weeks later! I was relieved to see they survived the experiment. Every now and then, I’d peak at them, hoping to see new growth, but I kept being disappointed by their small size. Then one day I realized, they weren’t just small, they were being eaten! oh no! Sad, sad peas. When it was clearly getting worse, I hunted the ground for any critter carrying around pea leaves, but nothing! 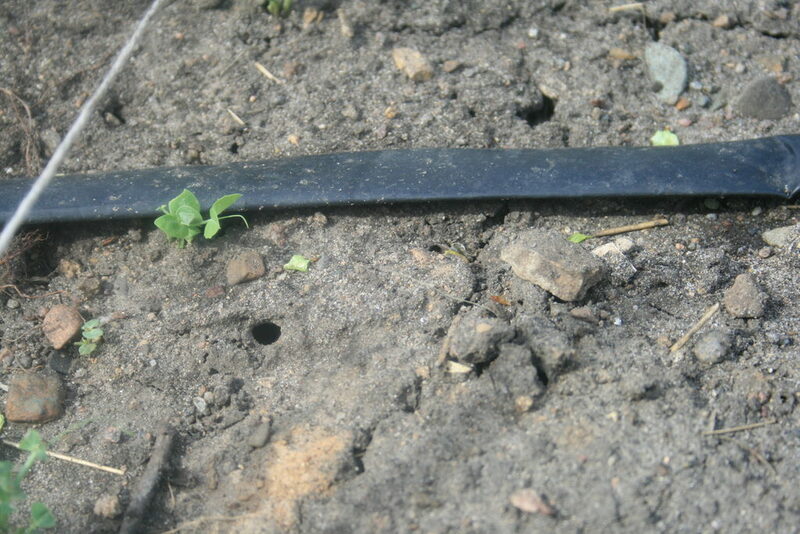 I did notice lots of holes in the soil… perhaps tunnels for the guilty party? 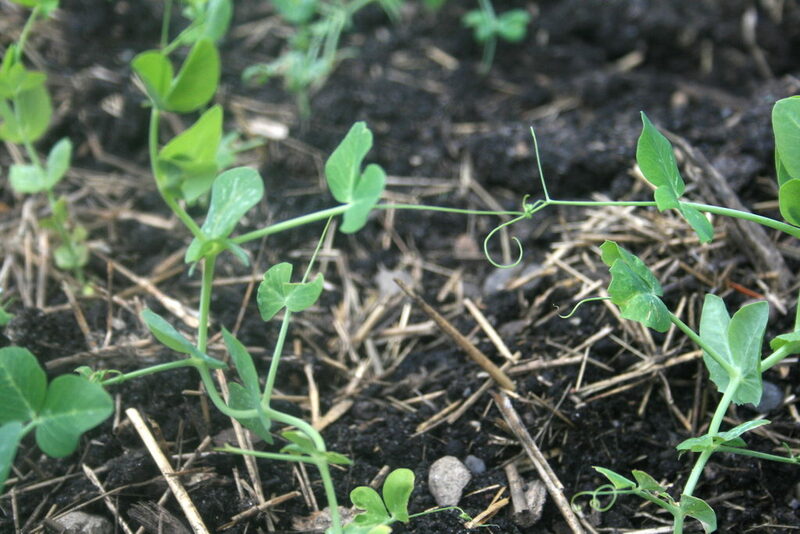 Peas can have lots of different pests, but leaf cutter ants seems to be the most likely culprit. They do their dirty work at night when we’re not looking. The leaves are carried back to their nest to brew into a fungus. I wish they would use my grass and creeping charlie leaves for their precious fungus! Apparently, a colony can wipe out a whole tree in one night, so either we have a small infestation, or I am off base. Either way, I had to rescue my peas! We love peas. 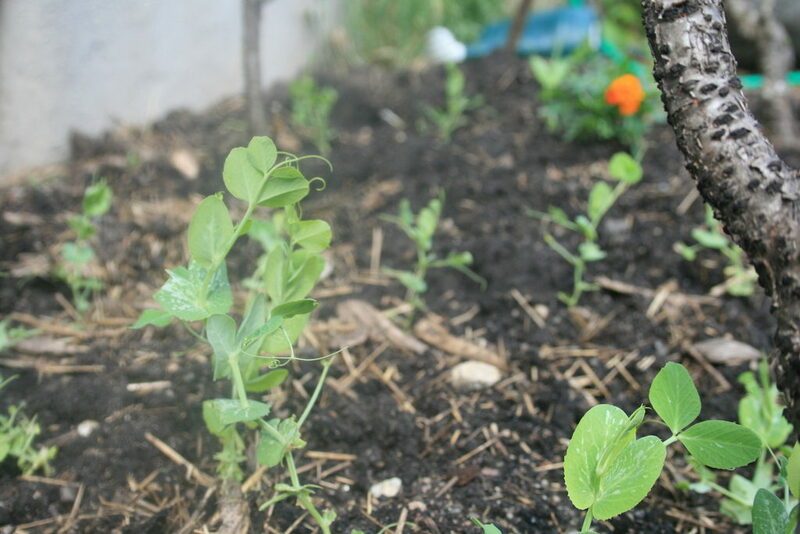 Yes, we love peas so much that I individually transplanted all the healthiest remaining peas to a different garden bed! My garden helper didn’t want to stick around for this labor of love. They survived the move, and there is lots of new growth! 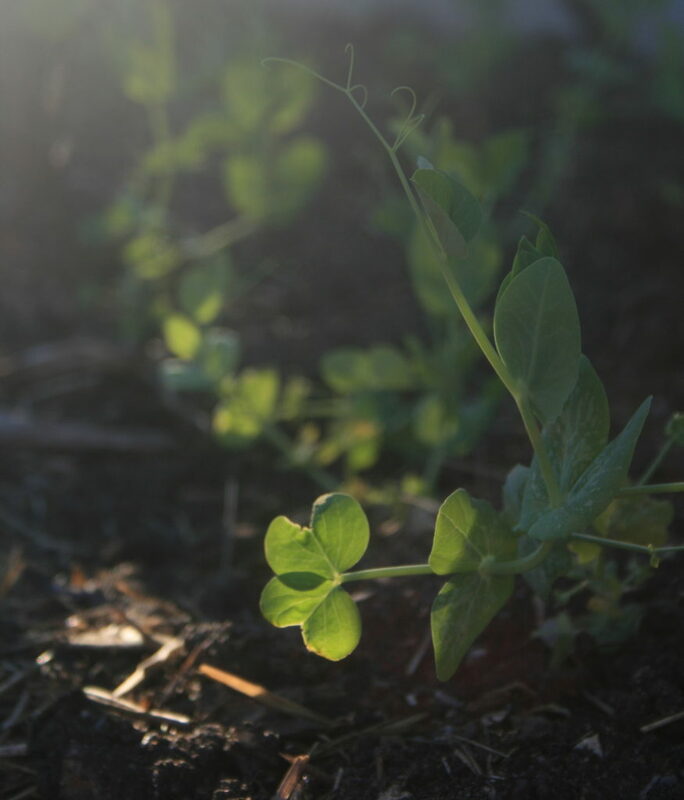 I hear that adding yeast dissolved in water can deter the ants as it messes up their fungus, but i discovered I would need about a five gallon bucket for how many peas we had planted! Instead, after I moved our best plants, I threw on wood ash and compost in large quantities and dug it all in. I felt a little bad destroying all their tunnels, but I replanted the bed and didn’t want a repeat attack! In the end, we lost about half of our peas. The other half are looking better in their new spot. I’m hoping these peas will be one of the best snacks of my life after all this work!